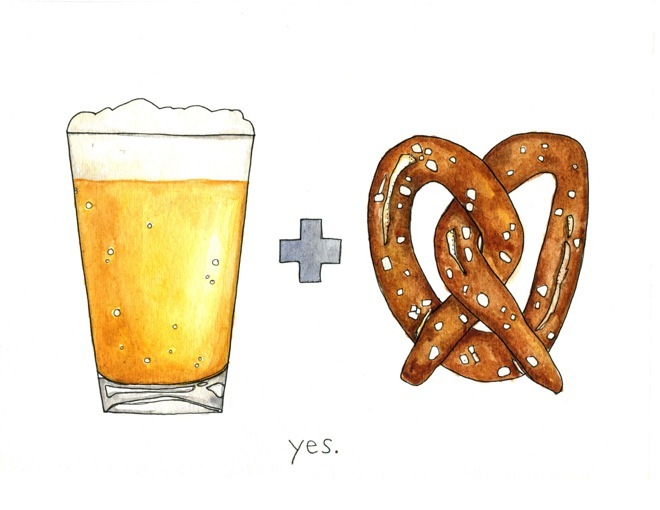 Saturday is apparently National Pretzel Day—yes, it’s a real thing—and Blue Palms Brewhouse in Hollywood knows just how to celebrate: with beer! Blue Palms will have all 24 of its taps and its cask engine taken over by local boutique craft beer distributor Artisan Ales. They’ve got an impressive portfolio of breweries they represent, and they’ll be rolling in some serious kegs this weekend and bringing some of the brewers with them! Victor Novak, the brewmaster from TAPS Fish House & Brewery in the O.C., will be on hand (he just nabbed two medals at the prestigious World Beer Cup btw) as will be: Brian Thorson and Wil Dee, head brewer and managing partner/beverage director, respectively, at Haven Gastropub + Brewery (Pasadena); Steven “Sven” Kinsey and Robert Sanchez, owner and brewer, respectively, at Kinetic Brewing Co. (Lancaster); Jerry Kolbly, co-owner of Noble Ale Works (Anaheim); Paul Rey and Peter Baer, brewers from Telegraph Brewing Company (Santa Barbara). Bay Laurel Sour, a sour blonde ale with bay leaves from Pasadena’s veteran Craftsman Brewing. Nelson, a decidedly dank IPA with rye made by East County San Diego cult favorite Alpine Beer Company. This latest batch is starting to pop up around town and it is exquisite. Peche ‘n Brett, an organic Belgian-style saison from Logsdon Farmhouse Organic Ales (Hood River, OR) that’s been aged in oak barrels with peaches. Aurantium Stout, a bourbon-barrel-aged oatmeal stout with bitter orange peel made by Telegraph Brewing. In addition to an impressive tap list, Blue Palms is creating a special pretzel menu to accompany this glorious gustatory holiday. Salty pretzel balls with spicy mustard and a pretzel dog made with ground buffalo meat will be available, as will large soft Bavarian-style pretzels with cheese sauce for those simply looking to savor the classic. The event begins at noon on Saturday, April 26. More info and the full tap list on Blue Palms’ Facebook event page.